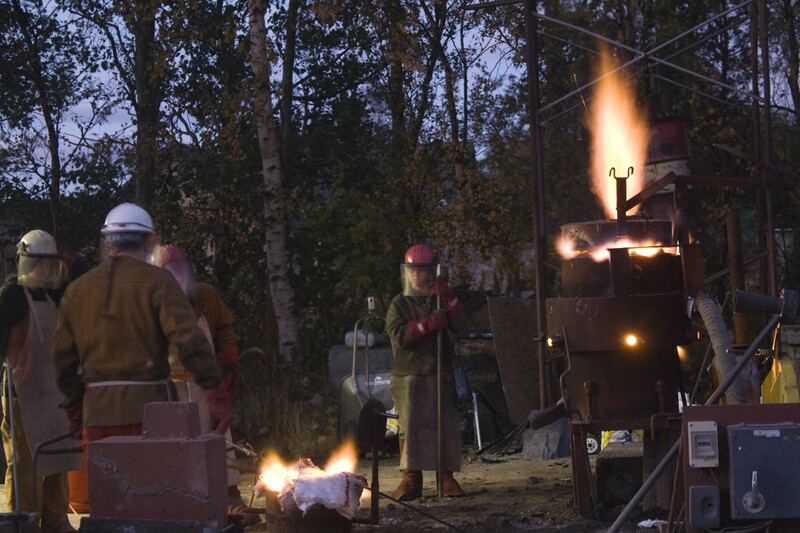 USUK Iron Symposium is celebrating 15 years and will take place this summer at Salem Art Works, New York, USA and Scottish Sculpture Workshop, UK. This is the 13th USUK Cast Iron Symposium, and for the first time will take place in both countries consecutively. During each 15 day symposium, internationally selected artists will produce work in cast iron with experimental and traditional sand molds using a coke fired iron cupola furnace. In addition to artists’ presentations, panels and technical demonstrations, artists learn from each other by working together in the critically engaged environment created by the symposium and its unique sites. No previous casting experience is necessary – for further information and application details please visit the website. To keep updated on all USUK news follow the Symposium on facebook.